Personalized and variable text makes any direct mail piece come to life. 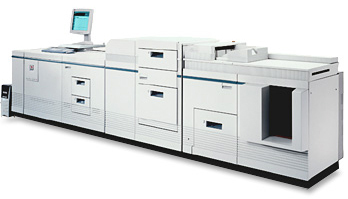 Our state-of-the-art high speed laser printers and inkjet systems allow you to image almost any mail component for maximum impact. We operate both cut sheet laser printers and continuous form laser printers, and have the ability to simplex or duplex laser on all standard size sheets (8.5x11, 11x17 and 14x17). 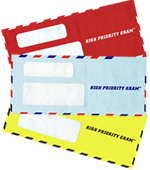 Our various inkjet systems allow us to rapidly image address blocks or messages on envelopes, postcards, self-mailers, or post-it notes in any color or any font your choosing. Our Imaging Department is in full operation (6) six days a week and is poised to run your projects around the clock to keep pace with your time sensitive production schedule.